The famous iPhone developer and hacker Steven, who is more popularly known as @ih8sn0w on Twitter, has just released an updated version of Sn0wbreeze 2.8 for iOS 5 beta 1 jailbreak. This new version of Sn0wbreeze adds support for untethered iOS 5 jailbreak on iPhone 3GS, sporting old bootrom. So if you are lucky enough to have one of those rare early iPhone 3GS’ with old bootrom, you can enjoy full untethered jailbreak on iOS 5 beta right now using Sn0wbreeze 2.8b2 on Windows. Apart from adding support for full untethered jailbreak for iPhone 3GS (old bootrom), everything else remains the same. You can jailbreak all other devices (except iPad 2) right now on iOS 5, but they will be limited to tethered boot only, which means that you will have to connect your device to PC/Mac on every reboot. For instructions on jailbreaking using Sn0wbreeze, you can follow our detailed guide posted here. Users with iPhone 3GS (old bootrom) wont need to follow “Booting Into Tethered Mode” steps as they have now got support for full untethered jailbreak on iOS 5. Alternatively, for both Windows and Mac users, Redsn0w 0.9.8 is also available which can jailbreak (tethered) all devices except for the iPad 2 on iOS 5 beta. Instructions for jailbreaking using Redsn0w can be found here. It is important to reiterate the fact that beta versions of iOS 5 are currently available to registered devs only. 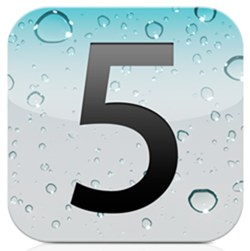 Apple plans to launch final version of iOS 5 to public in Fall.